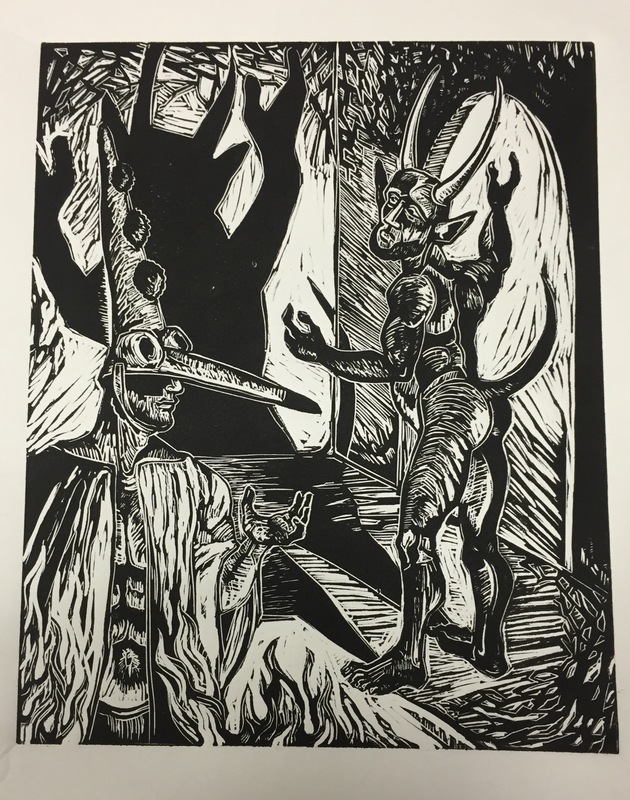 As I run proofs of a new plate I have just finished cutting, I am reminded of the man who taught me all I know ( or remember) about printmaking, Jim Machacek, who recently retired from teaching printmaking at San Diego community colleges for thirty years. I find myself fastidiously looking for errant marks, unnecessary details and the quality of the inking. I can hear him griping out loud to the class “TOO much ink!”- too much ink makes a muddy print and was the bane of his teaching career apparently. But as I run my fifth proof, nearing the end of the editing (I think), I’m deeply grateful for the rigor Jim instilled in me. This proof, for a new print The Proposition is for Jim’s approval. This has been a tricky composition for me, layering the figures, adding shadows in two colors but I am going in the direction I had hoped for. I initially thought of employing a separate plate for the shadows but after looking at German Expressionist prints I was inspired to more fully utilize the drama of black and white. I may still make separate color plates for contrast color but I’m pleased with this print. I’m glad I have Jim in the back of my mind guiding my cuts. 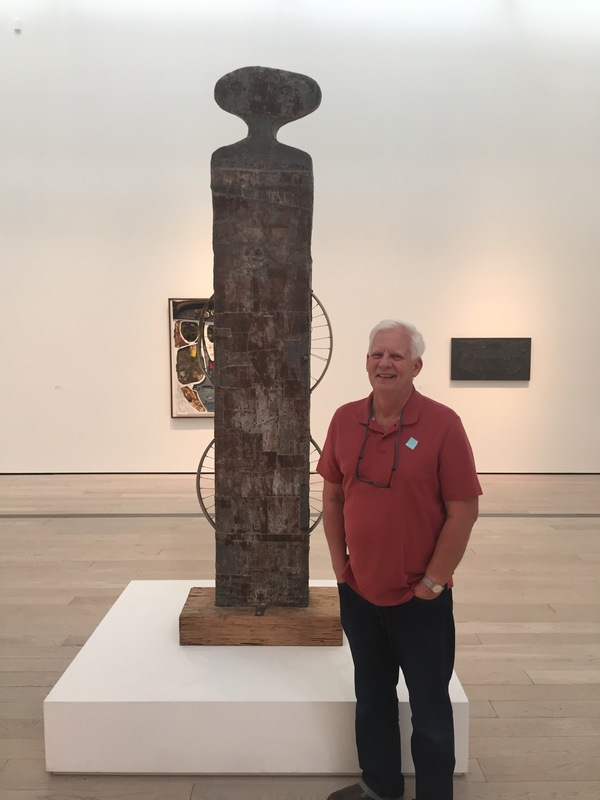 My teacher and friend Jim Machacek taken at LACMA this week, in front of Noah Purifoy’s The Spaceman. I’m happy Jim drove up from San Diego, battling insufferable traffic, to visit me; I’m hoping to see him soon once again on his turf.